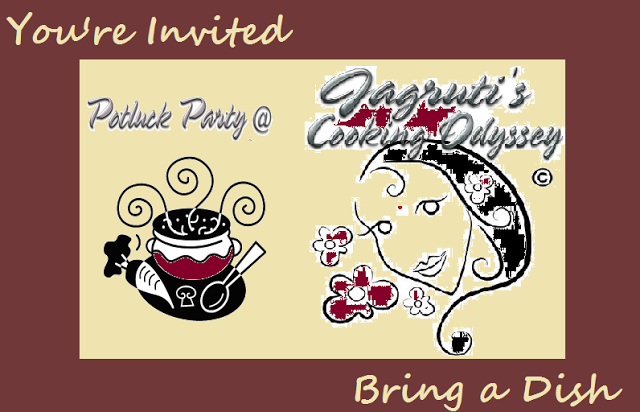 Jagruti's Cooking Odyssey: Mixed beans sprouts curry, Gujarati style - 10th February Potluck Party, Cyber Style! Mixed beans sprouts curry, Gujarati style - 10th February Potluck Party, Cyber Style! 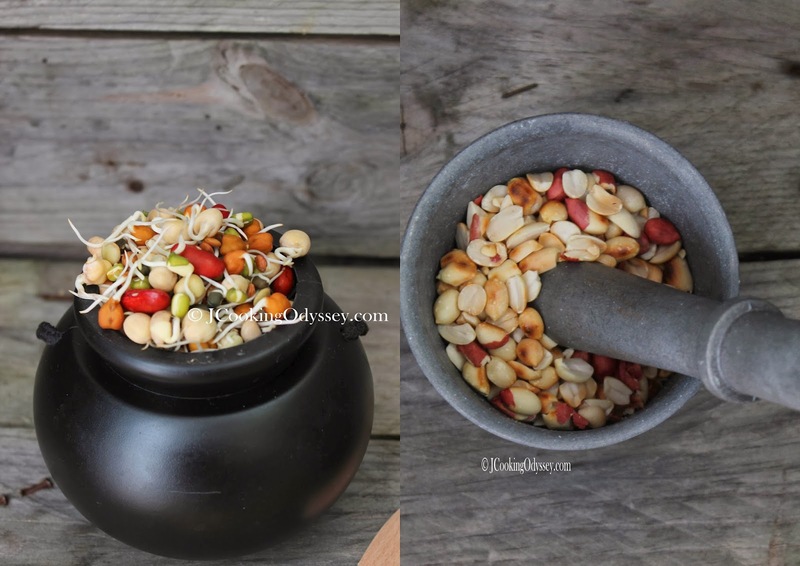 Mixed beans sprouts are packed with protein and storehouse of nutrients. Beans sprouts are abundant in nutritional substances and they have a very good potential efficacy to maintain and promote good health and prevent various major health problems like cancer, heart problems and osteoporosis. Beans sprout are excellent for maintaining good skin, digestion and helps to loose weight. 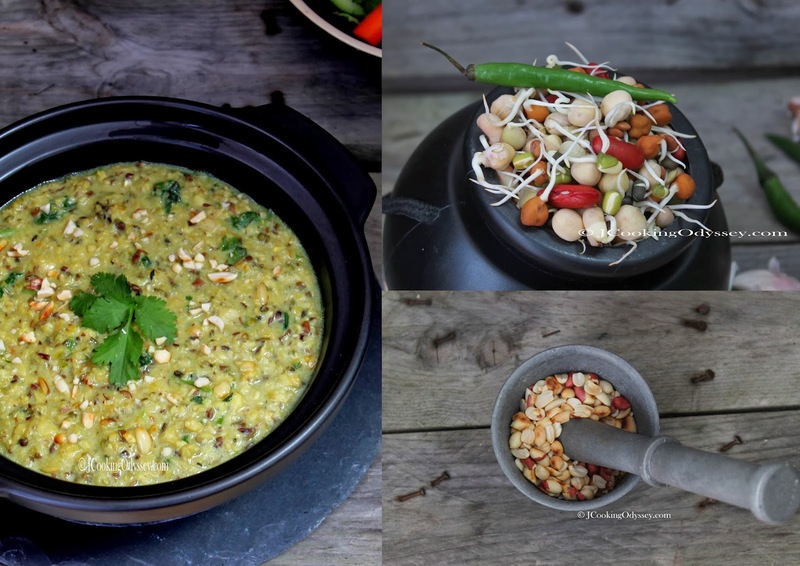 Mixed beans sprout curry, the lovely creamy richness of this curry has always been hit with everyone in my family. Mild flavoured, delicious curry which conveniently cooks quickly too. Today I want to introduce this simple Guajarati style, yet very tasty curry to my friends of Potluck Party, Cyber Style ! I hope you guys like it. I have used about 15-16 types of different beans, but you can use whatever you can find in your kitchen. To make one cup quantity take few beans of each. In my opinion it's the best way to introduce some variety of beans in your diet without compromising on taste. Wash mixed sprouts with clean water, then place in a food processor and process till you get coarse mixture. Heat oil in a heavy based pan or kadai, add cumin seeds and hing when they crackle add kasoori methi, chilli, garlic and ginger paste. Sauté the paste for few seconds and add crushed mixed sprouts. Mix gently and add one cup water, cover with lid and cook for 8-10 minutes. If mixture gets thicker or dryer add more water. Now add milk, salt, turmeric, garma masala and sugar. Once again cover with lid and cook for more 7-8 minutes. The curry should be nice and thick like cake or idly batter. Check seasoning and see if sprouts has been cooked well, if not cook further 3-4 minutes. Turn off the heat, add lemon juice and garnish with roasted peanuts and coriander. Serve hot with roti and plenty salad to make wholesome meal or can be enjoy on it's own. 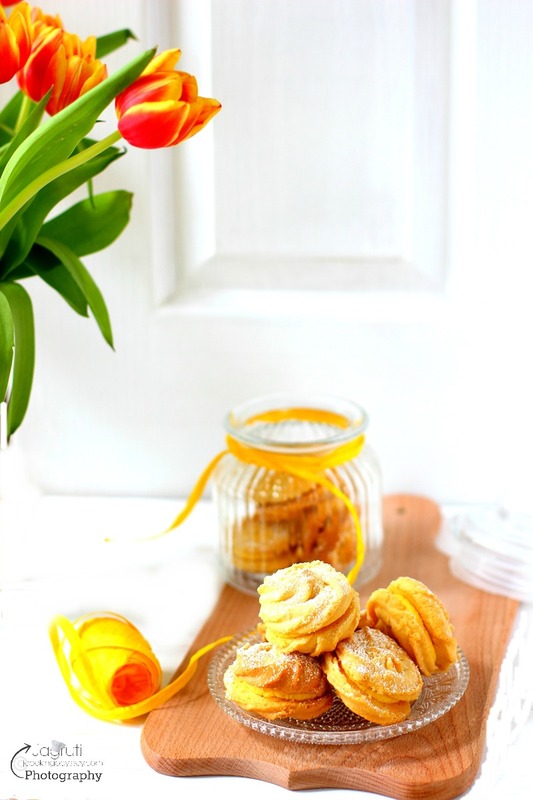 nice recipe :) Looks so delicious! Awesome clicks! So creamy and so delish!! !